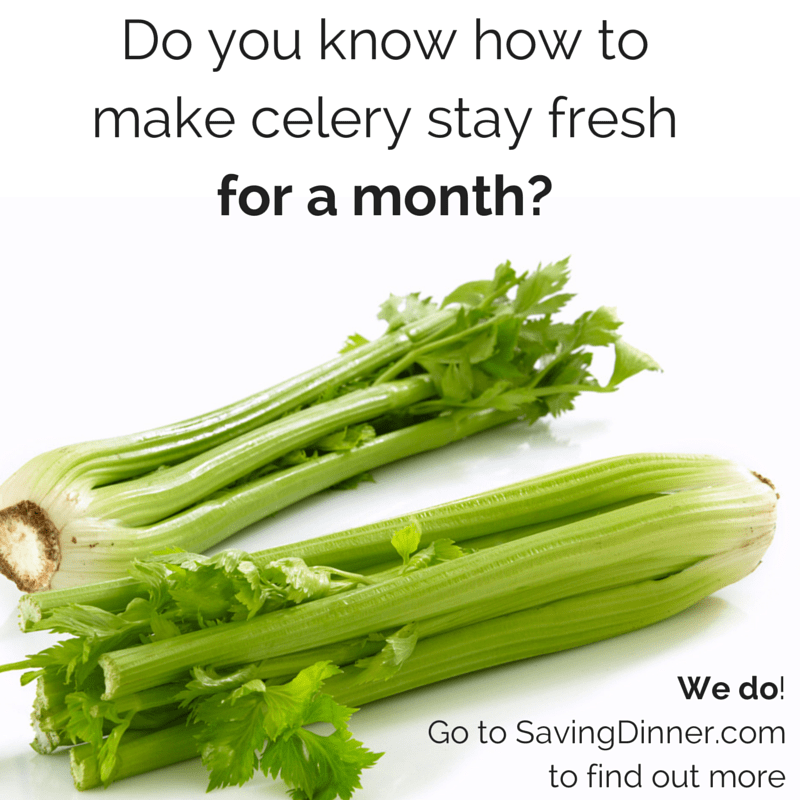 Keep Celery Fresh for a Month! I’ve done my time with celery. Those “diets” that make you eat a lot of celery because the calorie count is so low? Yeah, you did it too, admit it! And while I don’t eat celery that way anymore (it kind of makes me cranky! 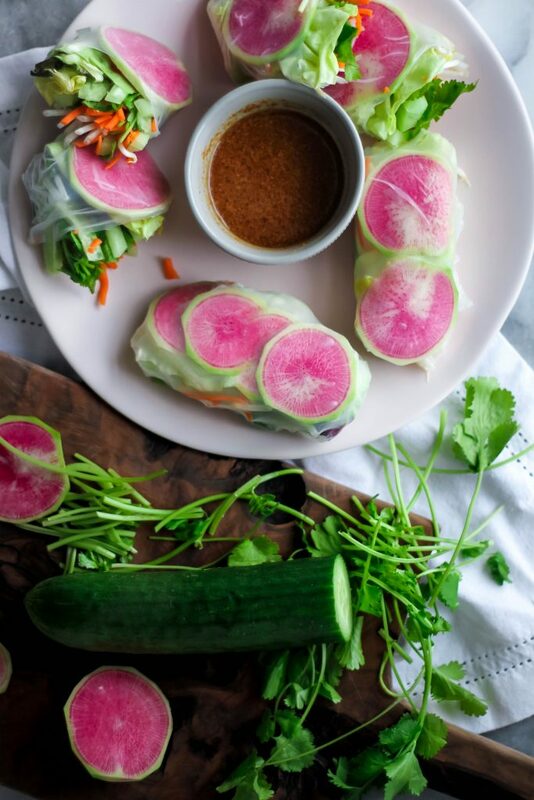 ), celery is a fabulous veggie. Celery is one of the 3 magical ingredients used in soups with carrots and onions. The carrot is for sweet, the onion for savory and celery is for salt. 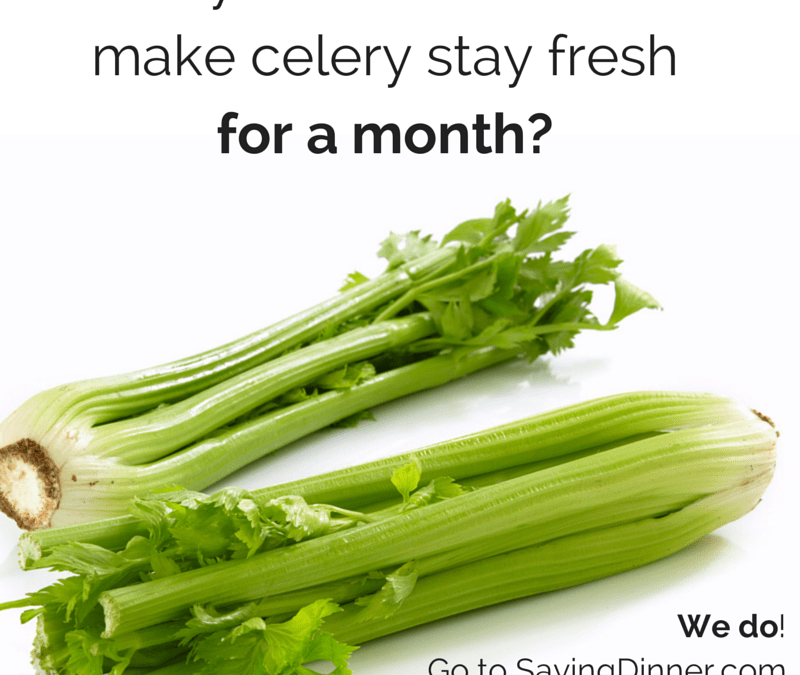 And since I try to eat soup a lot, especially when the weather cools down, celery is always a resident in my crisper. 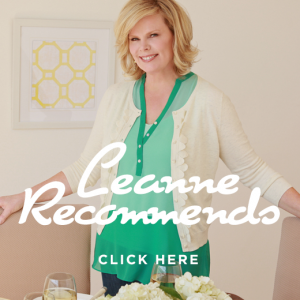 Besides being a key soup ingredient, celery is also plenty healthy. It acts as a natural diuretic, it calms your blood pressure, and it helps your immune system too. When you buy celery, only buy organic. Celery is on the Dirty Dozen list because it’s so heavily sprayed. And since most people don’t consume a whole bunch of celery at a time, here’s a bonus trick for you to avoid waste! 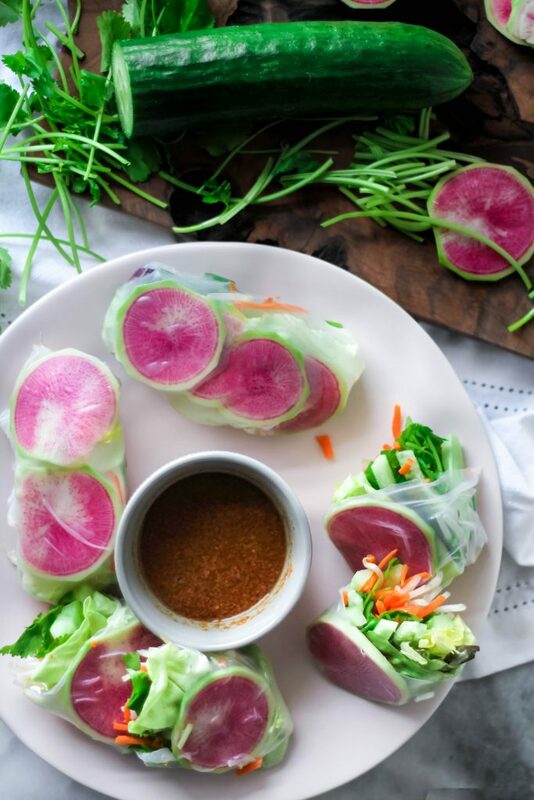 Cut the end off the celery, wrap the celery in aluminum foil and store it in your crisper drawer. It will last for almost a month this way! Remember I told you to cut the bottom off your celery? Don’t throw it out! 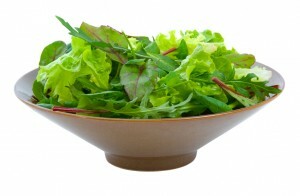 Save it and place it in a glass of water on a sunny window sill. It will regrow new bright green leaves! Place all ingredients in a large slow cooker; stir well to blend thoroughly. Cover and cook for 8 to 10 hours, stirring every 2 hours. All sorts of nutritious edibles are being plucked from the ground across North America at this very moment. Yes, October is harvest time. 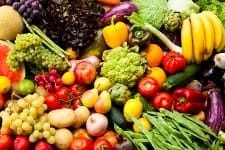 Even if you haven’t grown your own vegetables this year, you should still make the most of all that great local organic produce that can be so difficult to source (depending on where you live) during the rest of the year. 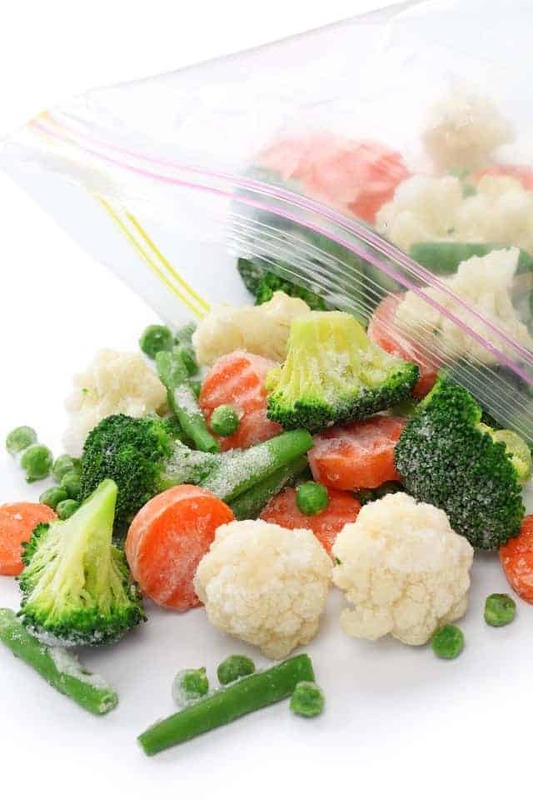 Preserving produce is an excellent thing to do, but if you’re not into pickling, you should know that one of the easiest ways to hang onto those veggies is to freeze them. 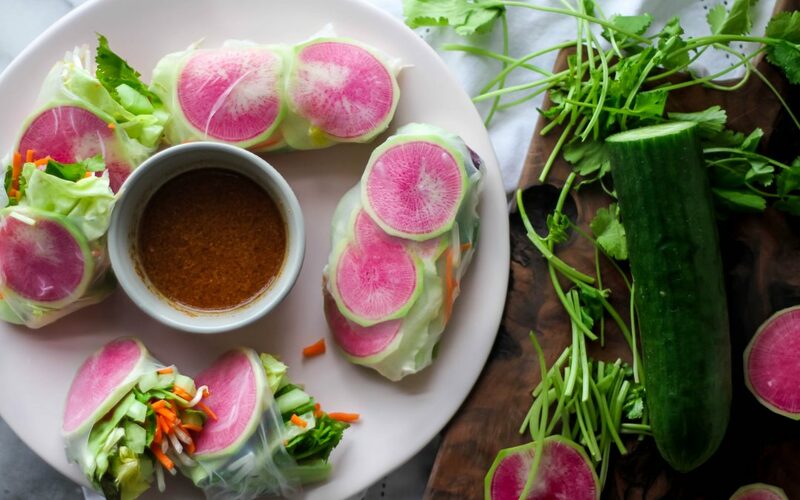 Freezing is a great way to lock in that nutrition without having to make too much of a mess of the kitchen. Pickling is great, but it sure is a lot of work! 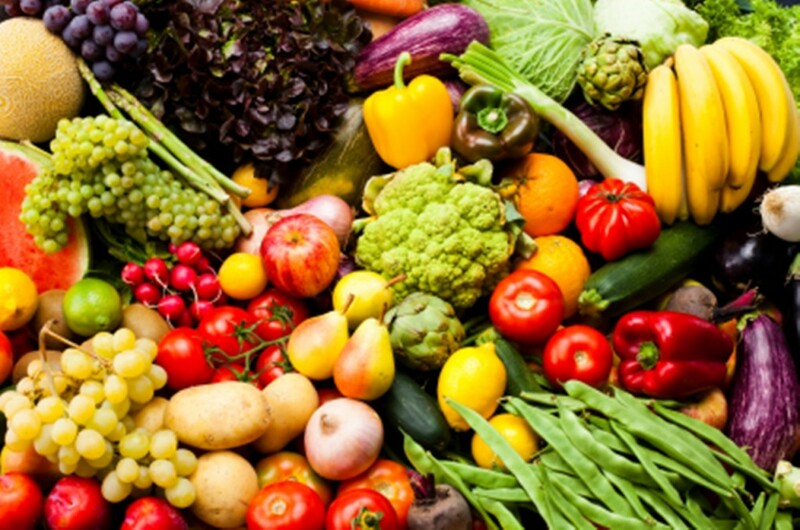 The following is a handy little cheat sheet for you to use to help you make the most of those fresh veggies. I’ve included some of the most common harvest veggies that you might never have considered freezing before. 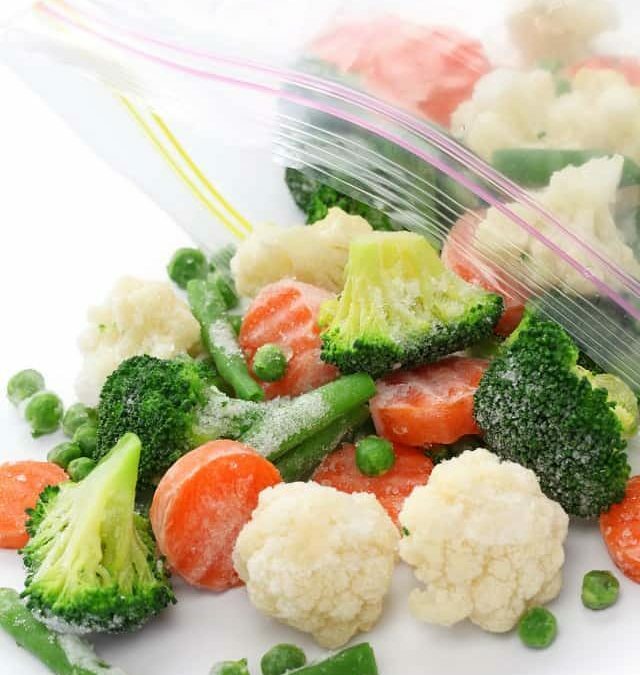 You’ll notice that some vegetables need to be partially cooked before freezing. 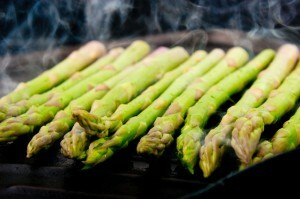 That’s because a bit of blanching is required in order to stop the enzyme activity that decays veggies. Green and yellow beans. Simply snap the tops off the beans, rinse them under running water and cut into one-inch pieces. You can keep smaller beans in one piece if you like. Blanch them in boiling water for about 3.5 minutes, and then put the beans immediately in an ice bath for 3.5 minutes. Pop them in a freezer bag and voila! Beets. Cook the beats until they’re fork tender, then let them cool before removing the skins (if you will be using your beets for juicing and they’re organic, you can leave the skin on). Cut the beets into chunks before packing into freezer bags. Broccoli and Cauliflower. Method is the same for both of these veggies. Cut the heads from the stalks. You should have a diameter of roughly 1” per head. Soak in salt water to remove any dirt or insects, and then drain well. Blanch for 4 minutes and then place in an ice bath for 4 minutes before freezing. Brussels sprouts. Wash the sprouts by soaking in salt water. Rinse before blanching for 4 minutes. Place immediately in an ice bath and chill for 4 minutes before freezing. Carrots. Peel your carrots and slice them into coins. Before you freeze them, blanch for 3.5 minutes and chill for 3.5 minutes in an ice bath. Pumpkin. Scoop the seeds out of the pumpkin, peel it and cut it into pieces. Steam or bake until tender. Mash the pumpkin flesh or blend it until smooth. Freeze in one-cup portions. Spinach. You can freeze raw spinach or you can blanch it for 1.5 minutes and chill in an ice bath for 2 minutes before freezing. Sugar peas. Wash, blanch for 2.5 minutes and chill for 3 minutes in an ice bath. Then place in freezer bags. Peppers. Wash bell peppers and cut into slices. Freeze in bags. Zucchini. Wash the zucchini, slice it and then blanch for 2 minutes. Chill in an ice bath for 2 minutes before freezing. Alternatively, you can grate the raw zucchini into one cup portions and freeze. Tomatoes. Freeze whole for fresh tomato sauces all winter long.